Although French Open is done, Wimbledon is coming up, just around the corner! I have been on a figural drawing kick lately. In art, it’s good to keep loose with pencil. 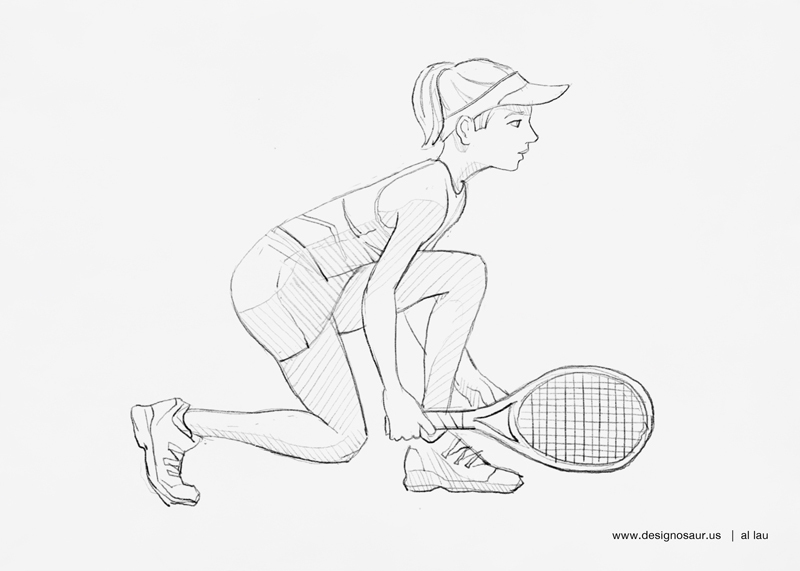 My sketch shows a player, hustling fast to make a swinging a two-handed backhand. It’s a nice long Presidents weekend. A good time to go outside to ski, snowboard or ice skate. What winter activity do you like to do? For the long holiday weekend, I’ve been glued to the telly, watching Wimbledon, and playing tennis and grilling. I gave myself sometime to do a sketch of a tennis player, swinging a forehand winner with extra of topspin. How are you enjoying this holiday?